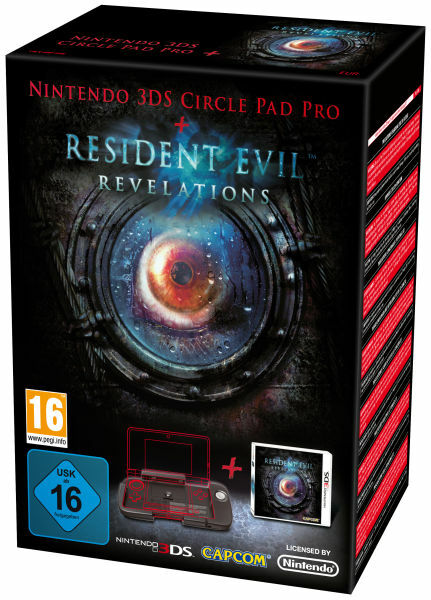 One of the first copies of Resident Evil Revelations for the 3DS has been reviewed and it ain’t pretty unfortunately. Popular Western publication, Games. has reviewed and had hands on with the game and they gave it a paltry 6/10. So basically just above average which isn’t that good considering all the trailers and screenshots looked incredible but it would appear that the final code isn’t up to scratch. Or it could have been reviewed by someone who isn’t an RE fan or maybe not even a 3DS fan? But this is just speculation. How awesome does this boxset look though? Badass! The reason being that Games thought the episodic structure was ‘cheap’ and the enemies come across very samey with not much variety. Was there ever variety in early RE games though? I remember playing the first RE on Playstation and while the graphics compared to today are very flat, those zombies had me jumping! I without a doubt will still be picking this one up in Australia despite how many bad reviews I read, it’ll still be something I want to experience for myself. That and when Stephanie, our Art Editor, played it at TGS this year, she sung nothing but praise for it. We’ll see soon when the game receives a release in Oz.